The "Shorty" Valves are perfect for the discriminating customer that doesn't want to see any black rubber on the valve stems. The "Shorty" Valve Stems with Chrome Sleeves will shows No Black Rubber when installed. 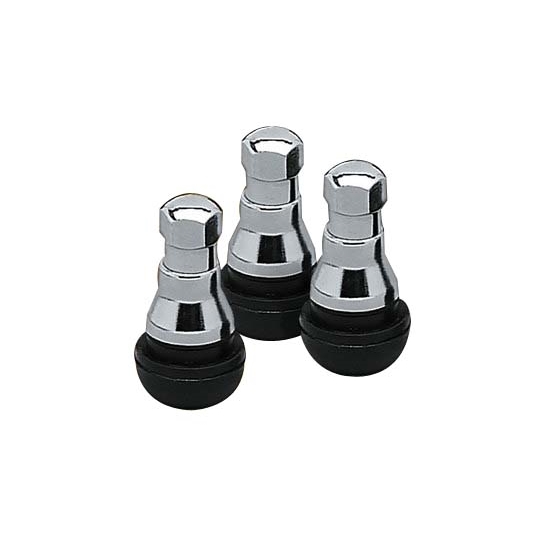 All of the dependability of a rubber valve stem with the appearance of bolt-in valve stems.